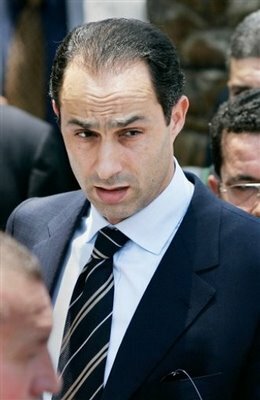 CAIRO — The annual convention this weekend of Egypt’s ruling party will offer a new opportunity for the nation to scrutinize Gamal Mubarak, the son of 81-year-old President Hosni Mubarak, amid speculation that he is being groomed to succeed his father. Whether or not Gamal Mubarack will be the final King of the South, or even lead Egypt itself, is still a big question mark. But the reality is that the final King of the South is alive now and it may be possible that Gamal Mubarack could be a candidate for that role. We will all have to watch and see. This entry was posted on Sunday, November 1st, 2009 at 6:10 am	and is filed under Prophecy.